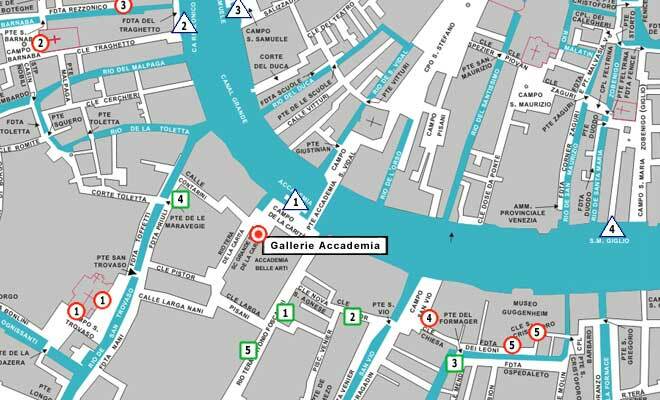 Venice Hotels Guide See Accademia Gallery on the interactive Map of veniceXplorer. 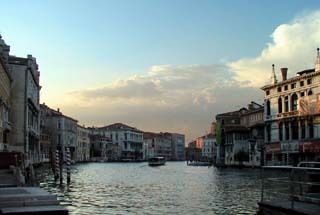 The Accademia Gallery is the Art Museum of Venice. 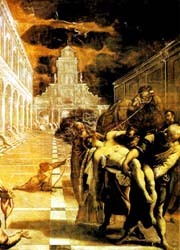 It has one of the world’s greatest collection of masterpieces of Venetian painting up to the 18th century. It was founded in 1784 by the grand duke Pietro Leopoldo. 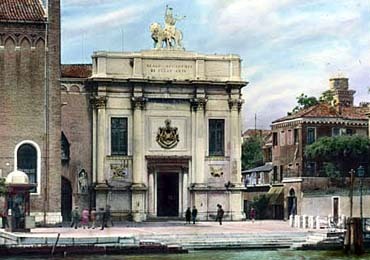 In 1807 during the invasion Napoleon, the Accademia was moved to its present premises. This administration had disbanded many institutions in Venice including some churches, convents and schools. The Scuola della Carità, the Convento dei Canonici Lateranensi and the church of Santa Maria della Carità thus became the home of the Accademia. 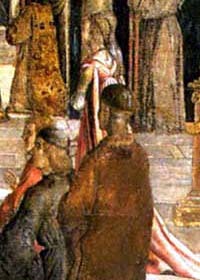 Giovanni Bellini's "San Giobbe Alterpiece"